YOUR SEARCH IS OVER!! Rare opportunity to live in Carrollwood at this price! 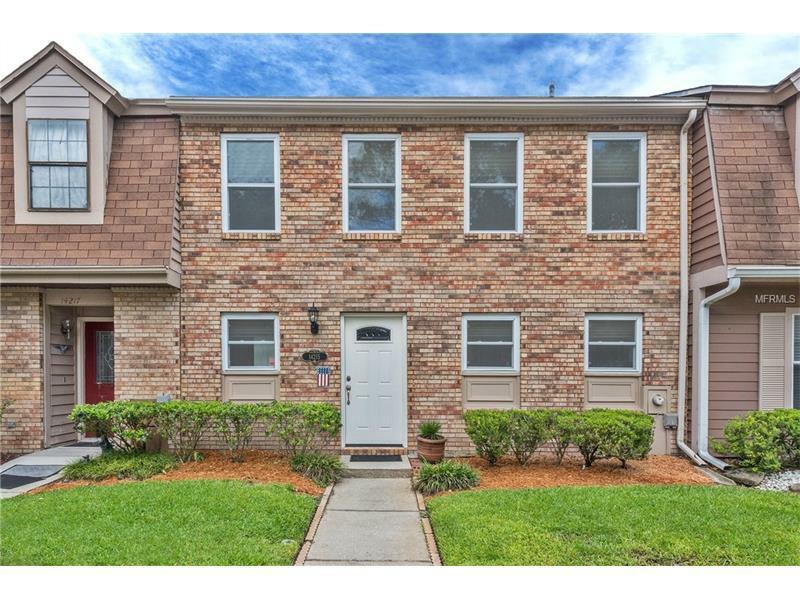 FANTASTIC TOWNHOME WITH CONSERVATION AND POND VIEWS IS OFFERED! The foyer welcomes you to this fantastic floor plan which includes REMODELED 1/2 bath and inside laundry (WASHER & DRYER included in sale) which is perfectly located for convenience!! The remodeled kitchen features solid surface counters, all stainless appliances, and a large cabinet pantry for extra storage! Dining and living room combo gives open floorplan options while boasting FABULOUS AND PRIVATE CONSERVATION VIEWS! The FRENCH DOORS lead to the THE COVERED GLASSED LANAI that is spacious with a ceiling fan and an extra storage room! Upstairs you will find 3 OVERSIZED BEDROOMS! Master features LOVELY VANITY AND PLENTY OF STORAGE! REMODELED Guest bath with tub/shower combo! GORGEOUS POND ADDS TO THE VALUE of this wonderful townhome nestled on a dead end street! A/C was replaced in 2014. DOUBLE PANE LOW-E Windows added for more energy savings. Community pool, ON SITE SECURITY and all of CARROLLWOOD VILLAGES' AMENITIES make this TOWNHOME A MUST SEE!